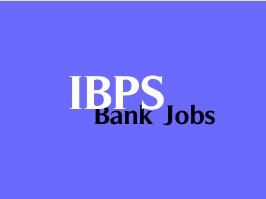 IBPS has published a Advertisement for below mentioned Posts 2015. Check below for more details. Enrolled as an advocate with Bar Council and minimum 10 years experience of practice at Bar or Judicial service or having experience of working with reputed solicitor firm and/or 10 years as a Law Officer in the Legal Dept. of a Scheduled Commercial Bank or the Central/State Government or of a Public Sector Undertaking and held the Position not below the rank of AGM. The candidate should produce a certificate of having the requisite post qualification work experience from the Court / Bar council / organisation. Minimum S. S.C.( 10th Std.) Pass/Matriculate or equivalent qualification in armed forces. Address to sent Applications : The General Manager- Administration Institute of Banking Personnel Selection, IBPS House, Plot No.166, 90 ft DP Road, Off Western Express High way, Kandivali (East), Mumbai 400 101.